Wild Fig Media offers a personalized and professional seo services to businesses anywhere in the county of Lancashire. We like to think of ourselves as the search engine optimisation company to go to for "SEO in Lancashire"
In Addition to our organic seo consulting services, we also offer social media consulting and campaigns, web design and development, video for content and content wrting services to ensure that you can get improved traffic accross your site from the very begining, we have special rates for our full marketing and seo services. Wild Fig Media is at it's core, an organic seo consulting agency, specialising in obtaining dramatic search ranking result improvements for you on Google or any other search engine of your choice. Your keywords and ranking results will be discussed with you from the outset to ensure that the results are in line with your budgets and expectations. One of our core strategies is to facilitate the assistance of the micro and SME markets of Lancashire with a fixed monthly fee to manage your online strategy and content. We will sit down with you so that we understand your requirements and expectations about where you would like to rank, the time frame and your budget. With the number of websites that are growing daily on the internet for business's in Lancashire, it is essential that this area of internet marketing is done in a regular, consistent and diligent manner. 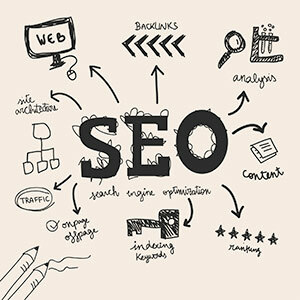 As seo specialists we can take care of all your online content for you to ensure that you get the rankings you require.